Our sanctuary will provide temporary housing for adoptable animals and lifetime care and sheltering for those who, while still are able to lead a quality life, are unable to find homes due to old age, illness and other factors. The TriState Noah Project helps animals in the KY/OH/IN region. In addition to our fosters, we feed over 200 homeless animals living on the streets daily in addition to spaying/neutering and providing any medical treatment needed while we work to get them off the streets. To create the first no kill, free roaming sanctuary in the Tristate for both farm and domestic animals and wildlife. Hundreds of animals have been rescued and we continue to care for hundreds of animals daily. We believe all life deserves kindness, compassion, and a second chance. Laura Beth is the founder of the TriState Noah Project. Her involvement with animal rescue began in 1997 and she has participated in several large scale rescues, including New Orleans after Hurricane Katrina. While she has been active in campaigns for all animals with organizations such as Farm Sanctuary, Mercy for Animals, Defenders of Wildlife, Big Cat Rescue and PCRM, locally she feeds approximately 140 strays over 25 stops daily and is actively involved in TNR. 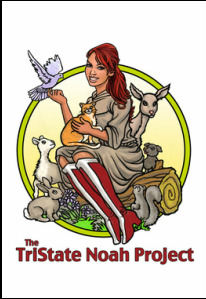 The idea for the TriState Noah project came about after seeing the plight of stray and shelter animals in her area and lack of programs to help them. Her focus is creating a sanctuary for all animals, farm and domestic, as an alternative to the high kill shelters in her area and educating children on the value of spaying/neutering and kindness to all animals. In addition to her morning and night stray routes, she works FT for an IT consulting firm, is caregiver to her 89 year old grandmother and has a house full of rescues, including Morris-the TriState Noah mascot. Laura also enjoys photography and being a former professional ballroom dancer, an occasional tango or cha-cha in between routes. Christi Stevenson has been a middle school math teacher and supporter of humane education for 13 years. She sponsors a humane/compassion club at her school. This year her students built shelters for stray animals, and held a pet photo contest to raise money for The TriState Noah Project. She has been an animal lover since she was a little girl and has been involved in animal rescue for several years. She helps with TNR and fosters cats for The TriState Noah Project. Her three dogs and seven cats are are all rescues. She loves spending time with them, and believes that the special bond between people and animals provides a unique sense of peace and joy. 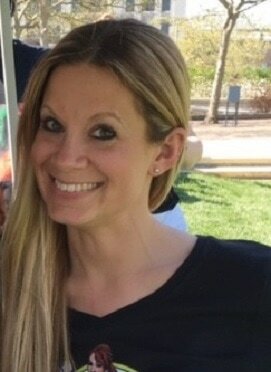 In her spare time she practices yoga, enjoys gardening and trying new vegan recipes, but if the weather is nice you will find her at the park with her dogs. 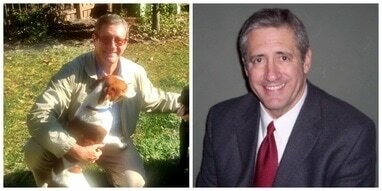 Tom Baxter is secretary of the TriState Noah Project. He has been involved in rescue for over 20yrs with New Vocations Racehorse Adoption Program and Capital Area Humane Society. Tom has also supported and is a member of Pilots and Paws, PCRM, Defenders of Wildlife, Farm Sanctuary and IFAW. Tom has been a professional pilot for 39 years and is chief instructor at a skydiving school in Columbus, OH. He will use his experience as a pilot to assist with transporting rescues. Over the years Tom has adopted numerous animals, including several dogs, 2 horses and a cat. He currently has 4 rescued dogs that reside with him. His focus is the rehabilitation and rehoming of domestic animals and wildlife conservation. When not participating in charity events for animal rescue, he enjoys jumping out of planes and playing guitar in a band.